Welcome home to this 3 bedroom/ 21/2 bath townhome..* Loft/ office** Laundry upstairs with all the bedrooms**Kitchen has granite counters** Patio with small yard** Large breakfast bar and breakfast area** Brushed nickel hardware** Security system**Recessed lighting**1539 square feet with a one car garage** Window treatments**Radiant barrier in attic** New Lakeline park development coming soon behind condos**2 miles to Lakeline Metro Station**Easy to show!! 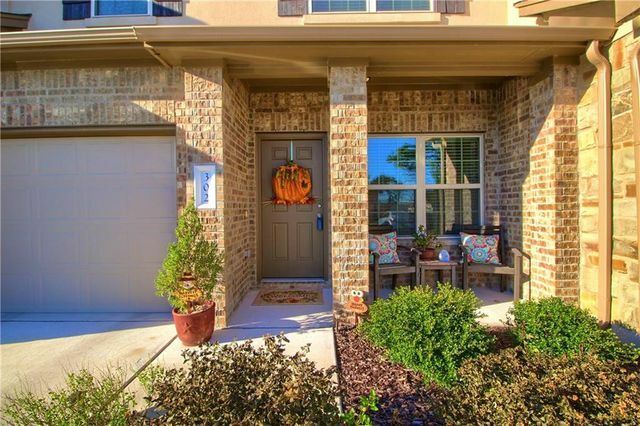 1701 S Bell Blvd #302, Cedar Park, TX 78613 is a 2 bathroom, 1,539 sqft condo built in 2015. This property is not currently available for sale.